I have a lot of so-called "catching up" to do with my Project Life. This weekend I did complete one layout (in between trying to potty train our son, getting his bedroom painted, and starting to put up his swing set, phew!). This is the beginning of April, and I used Mye De Leon's Minted collection to complete it. I had a ton of 3x4 sized photos, so I made another new template which features just one 4x6 space and the rest 3x4 slots. (I'm hoping to have this template available in the shop tonight - it will be my Pocket Template #3). I used another one of my 2014 Month Brushes for the card on the left/center row. This page includes a series of 3 photos Austin requested I take - "take a picture of me on this rug, Mommy. Now on this rug. Now on the 3rd rug!" 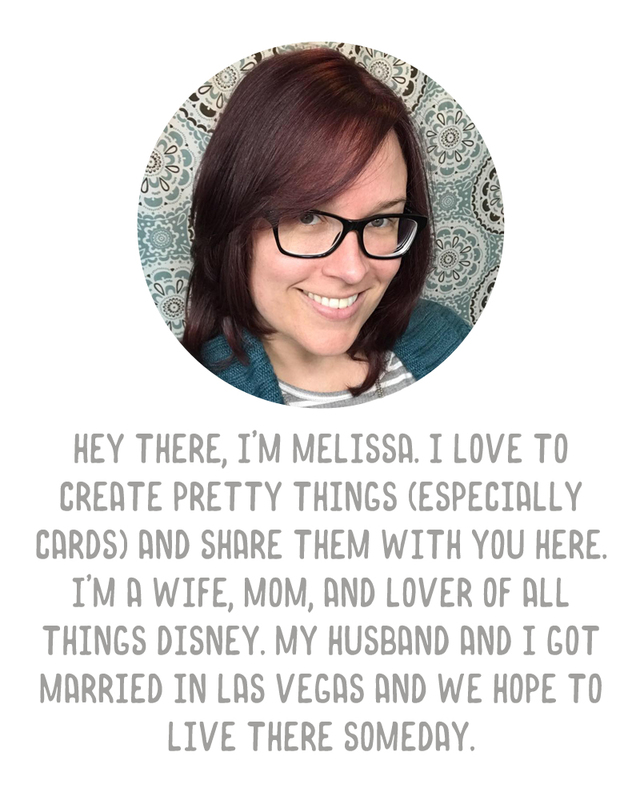 I just added a sticker tag from the Minted kit that says "Gotta Love It." 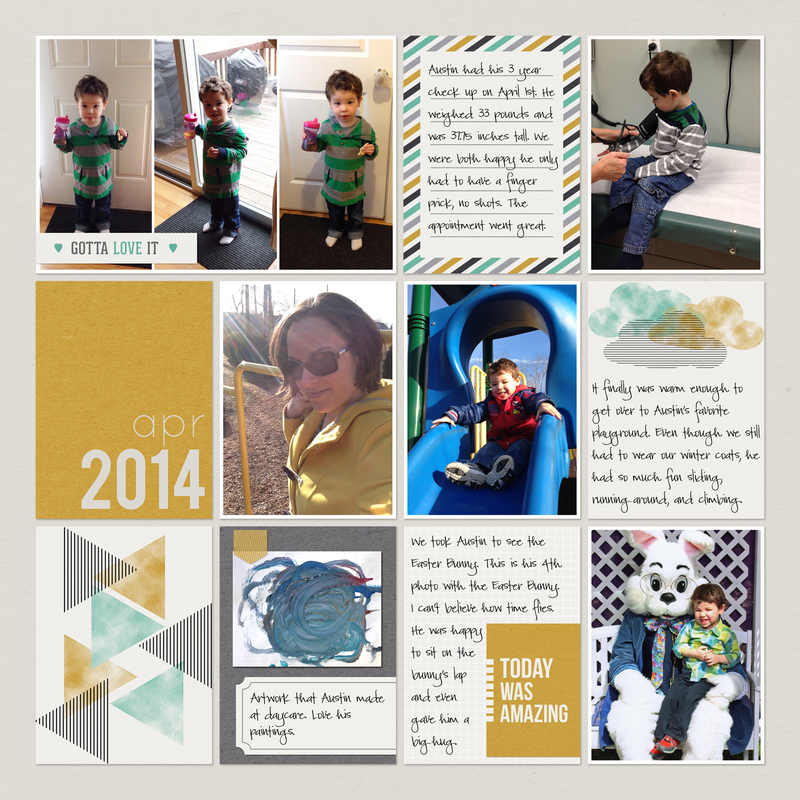 He had his 3rd year checkup on April 1st, so of course I documented the information from that. Some photos from the playground and a picture with the Easter Bunny, as well as one of his paintings from daycare. 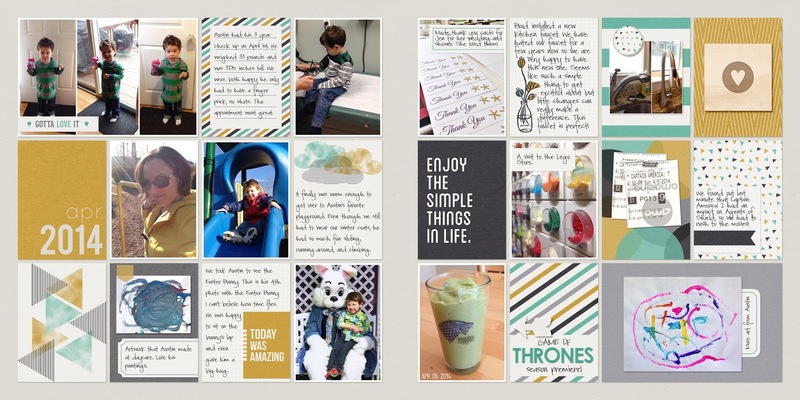 On this page I have another painting from daycare, a photo & little title noting that April 6th was the Game of Thrones season premiere, and a bunch of random things like a trip to the Lego store and the installation of a new kitchen faucet. Because this entire spread was a lot of little things, I loved adding the card saying "enjoy the simple things in life" that came with the journaling cards in the Minted kit. Is anyone else feeling totally overwhelmed with living life right now and not having as much time as they'd like to record it? I mean, I am keeping up with the photos and notes on my phone, but I would love to sit down and bang out the rest of April and May in one sitting. It's my own fault for not keeping my pages simple. But I enjoy the result of using embellishments and fun papers much more than I would if I had a clean white page. How about you guys? How are you doing? Are you staying mostly caught up? Are you keeping it simple? Would love to hear from you! Oh, love your pages and the simple little things in your life (what was in that GoT glass, btw ;) ?)... I fell in love with Minted when it was released, I still have to use it though... As for being "caught up", hmm, nope, I'm not, I have pictures, most weeks have notes as well but I still need to sit down and actually put the pages together. 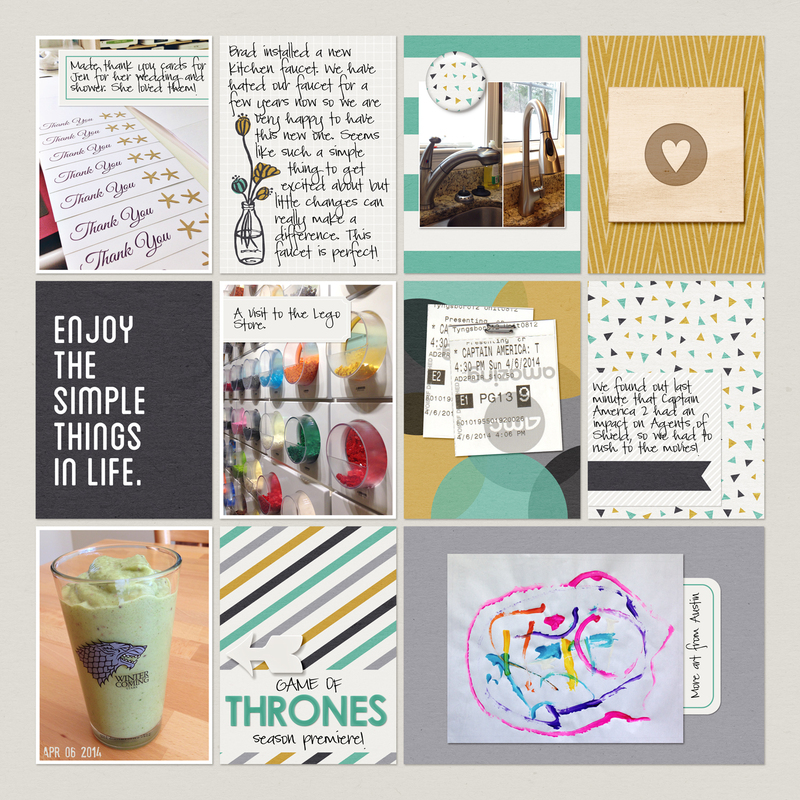 Minted is just so pretty!